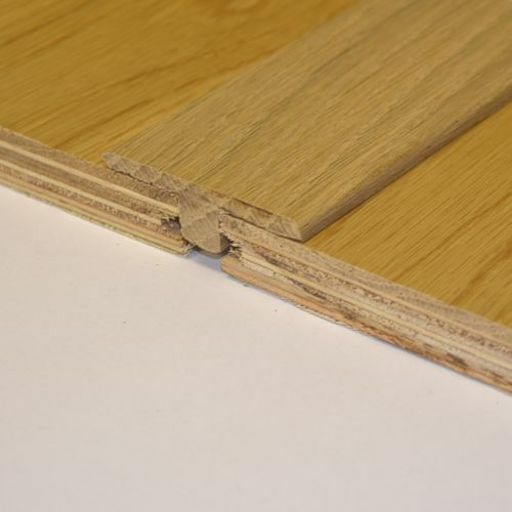 Solid oak t-shaped threshold lacquered, designed to cover the expansion gap between two wooden floors of similar height. Supplied with PVC fixing track. It is available in 15 mm height, 50 mm width and 900 mm lengths. Available in Oak, Walnut Stained Oak, Dark Oak, Smoked Oak, White Oak, Maple, Beech and American Black Walnut.